Innovation rarely begins with forgetfulness. Or does it? We can’t remember, but the new quick-access system for Boston public transit has its roots in temporary lapses in memory. Two MIT undergrads who often used the Boston transit system would continually forget their Charlie Cards – the cute name Bostonians have for their quick-pass metro cards. Rather than resorting to turnstile hopping, the two turned to the bastion of new technology: 3D printing. 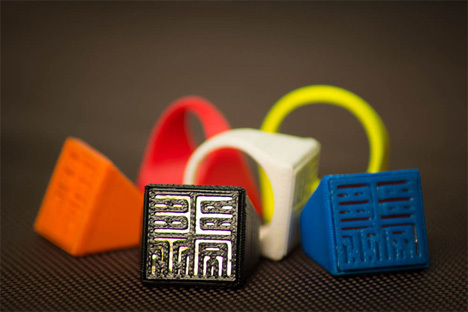 To make it easier, they created the Sesame Ring – an RFID-enabled knuckle accessory that works just like the Charlie Card. Users load money onto the ring and the amount is debited from their account every time they use the ring to access the transit system. It has already been approved by the Massachusetts Bay Transit Authority. Buyers can even request custom designs or messages to be built onto the ring’s surface. The Sesame Ring is even waterproof, so if you get caught in a downpour after stepping off of the bus you don’t have to worry about your high-tech bling shorting out. The team took their idea to Kickstarter and easily sailed past their fundraising goal several times over. 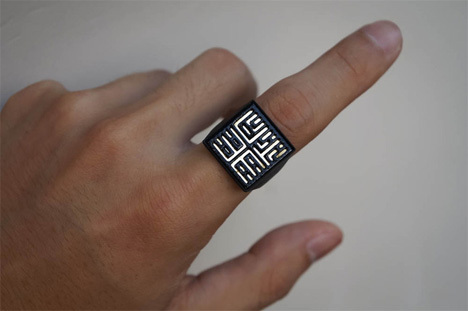 The duo plan to create other rings in the future that can be used as substitutions for any other kind of smart card. Opening doors or security gates, paying for purchases, and who knows what else may soon be as easy as tapping your ring against a reader. See more in Digital Design or under Technology. September, 2013.